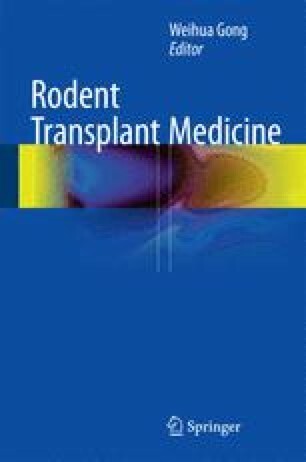 Orthotopic mouse liver transplantation (MLTx) is an established model for immunological studies of graft rejection and tolerance induction after solid organ transplantation. Since its introduction in mice by Qian et al. (1991) in 1991, the mouse model has been frequently used to study immunological responses (Qian et al. 1994, 1997, 1996; Li et al. 2001; Klein and Crispe 2006). The model is also suitable to analyze the pathways of hepatic regeneration after prolonged ischemia time and/or partial liver transplantation (Conzelmann et al. 2003; Tian et al. 2011).